Owning a historic home in Indiana comes with lots of fringe benefits – charm, character, wonderful architectural elements both inside and outside the home, even fame and notoriety on some occasions depending on the history of the residence. But a vintage property also takes a lot of work, and responsibility if you want to keep the home looking as it did in its prime. With today’s rising energy costs and the global awareness about energy conservation, owners of historic homes find themselves in a delicate situation – how to save money on energy bills via modern window technology while retaining the design integrity of the home’s classic, vintage look. Bee Window saves the day with our partnership with Marvin Windows and Doors. We’ll work with you to ensure the ongoing character and beauty of your historic home by providing custom historic window replacements that meet the exacting specifications of your property’s needs. From UV-resistant glass to draft-proof sealing systems, historic storm windows and more from Marvin and Bee Window will save you money on fuel costs while preserving the look that made you fall in love with your vintage home in the first place. 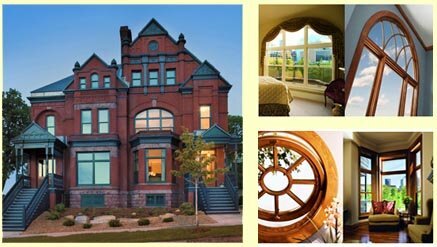 Contact Bee Window today to get started with historic window replacements for your historic home in the Midwest. We look forward to serving your needs!